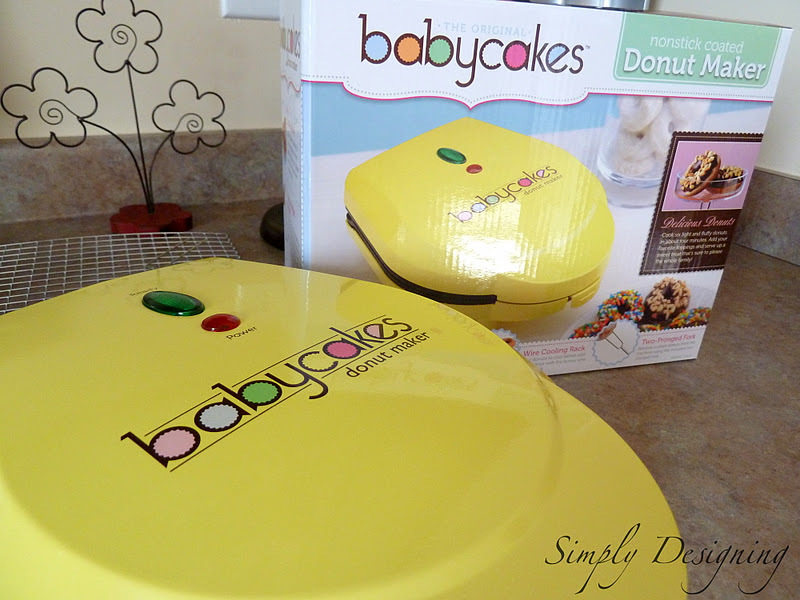 I was sooooo excited to have the opportunity to test out Select Brands’ babycakes Donut Maker! Have I mentioned how much I LOVE Select Brands? They create some of the coolest baking products! So. Typically when I have the opportunity to test a product like this, I like to start with the recommended recipes first, they are usually pretty fail-proof! 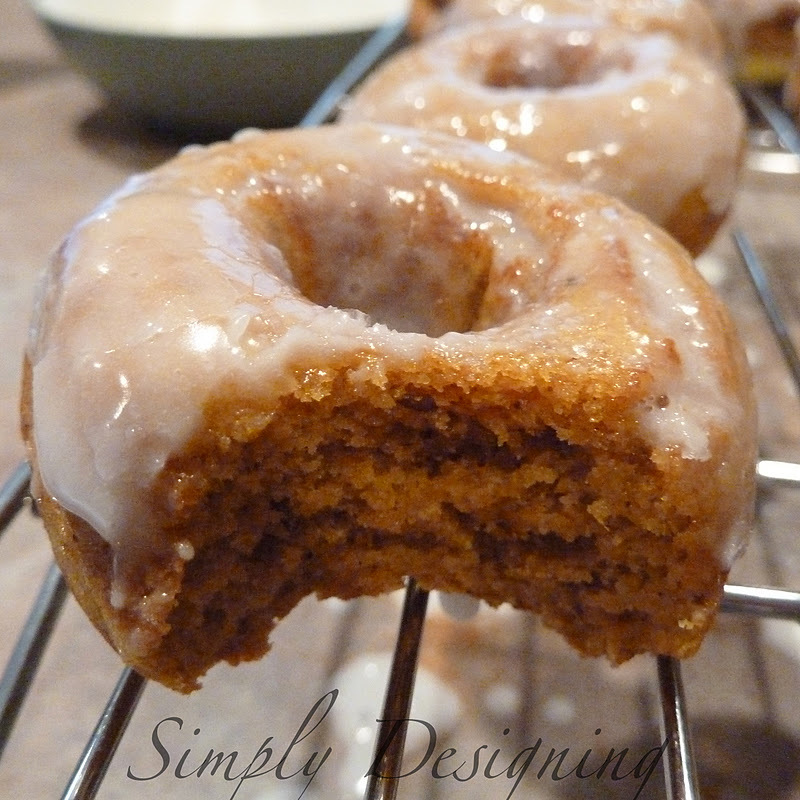 But for some reason I had an itch to make Pumpkin Donuts!! So I started testing this product and creating my own donut recipe at the same time. I did have a bit of trial and error, but in the end, the donuts were delicious and the babycakes Donut Maker is AMAZING! Oh…my mouth is watering just looking at this picture…yummy! And before we continue…I have to confess, I am not a neat cook. 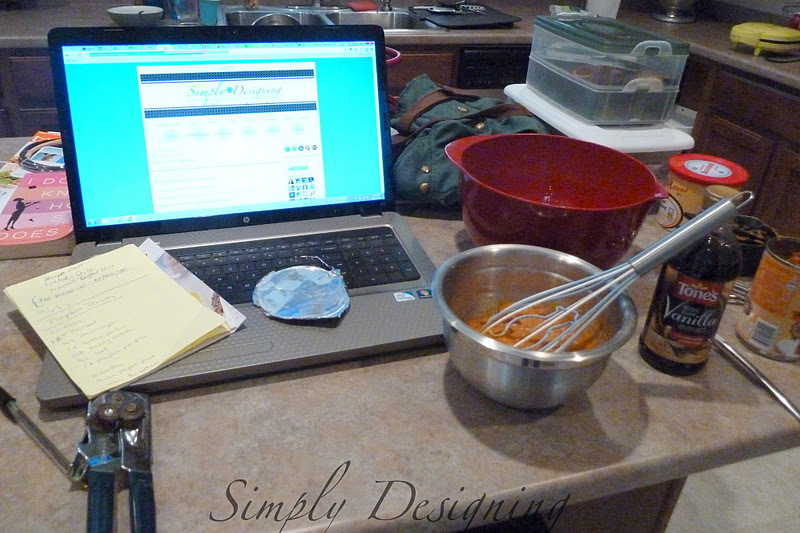 And trying to come up with my own recipe required more mess. Look. This is almost hilarious. I’m not even sure why my computer was there…but it was a great place to set my notes and trash apparently. If you look in the back right corner you can see my son’s Halloween costume and sewing boxes…yeah…let’s still be friends after showing you this, ok? Please? Does anyone else bake like this?! I also need to confess, my failure. 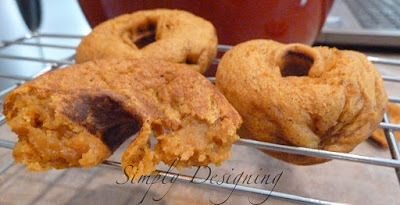 This is a photo of my first pumpkin donut recipe I came up with. Yes. My donuts look like they are melting. This was NOT a defect of the donut maker, this was a recipe issue. As soon as I tweaked the recipe just right, I got nice, fluffy, moist perfect pumpkin donuts! Aren’t these just beautiful?! In a small bowl combine all dry ingredients for donuts. In a separate bowl mix vanilla, pumpkin and buttermilk. Mix the dry ingredients with the wet ingredients and whisk by hand until fully incorporated. 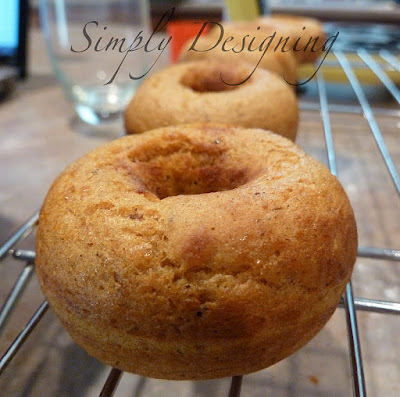 Put batter in Select Brands babycake Donut Maker and cook for approximately 4 minutes or until fully cooked. Dip donuts into glaze and let set before enjoying. 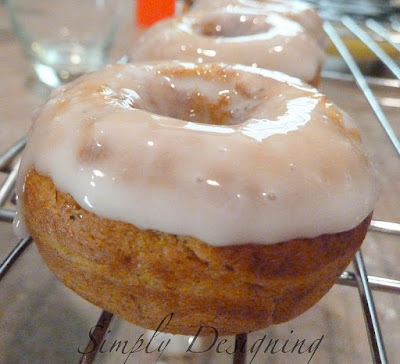 This is a fairly sweet donut recipe and it was a hit with the family! Yum yum yum. I seriously can’t believe I actually made my own recipe!! And guess what?? 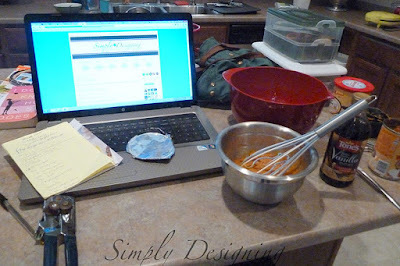 babycake’s blog featured my recipe!! You can see it here. Now, a little more about the babycakes Donut Maker. There is really nothing bad to say about Select Brands’ babycakes Donut Maker. The donut maker is very easy to use. I love the non-stick finish on the inside of the machine, none of my donuts stuck to the machine (even the ones that practically melted on me!). 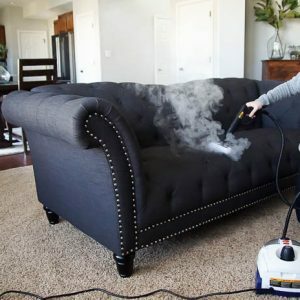 And it was extraordinarily easy to clean! The donuts were light, fluffy and moist and while they are still more of a “cake” donut, they aren’t too heavy or dry. They were delicious! And since they are baked, not fried, they are a healthier alternative to a trip to your local donut shop. I love how quickly this machine bakes cute, perfect little donuts! It only took 4 minutes to bake each batch of these donuts to perfection and the machine was immediately ready to bake another batch! This means that in less then 30 minutes you can make and bake a batch of yummy donuts! I love love love the babycakes Donut Maker! I love it so much that I also created a second recipe that I am going to share with you tomorrow. A healthy recipe! And then on Wednesday I have the opportunity to test out one of Select Brands babycakes new Donut Mixes! I am so excited that they now make mixed!! How amazing is that?! OH! And the best part is that on Thursday, the wonderful people at Select Brands are letting me GIVEAWAY A DONUT MAKER to one lucky reader! I am so excited for this week! So be sure to stop by this week to see what else I’ve created with this fab machine! And don’t forget to come and enter this amazing giveaway on Thursday! 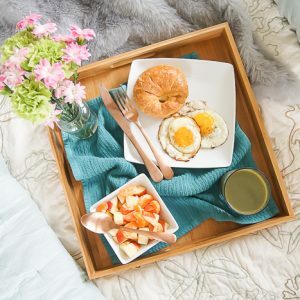 I was not compensated for this review, however the fabulous people at Select Brands gave me a babycakes Donut Maker for review purposes and are providing one to giveaway as well. All opinions are 100% mine. How many ounces was your small can of pumpkin? 15? Hi! We found out my husband was diabetic just before Thanksgiving last year. He has been doing really well, but he has been craving donuts. I bought a mini donut maker. It makes 12 donuts at a time. I was wondering if I could use the splenda blend in place of the sugar and the brown sugar substitute for the brown sugar. I’ve never used them before and I’m not sure how they will bake. Have you or anyone else you know used these kind of sweeteners? I just ordered a spice grinder that fits on my ninja smoothie maker so I can grind the flax seed. I’m excited that I didn’t need to buy a new appliance! Hi Barb! So sorry to hear about your husband. We haven’t tried Splenda instead, but this might help https://www.splenda.com/cooking-baking/granulated – Let us know how it turns out! Hi there. My guess is that either one of the ingredients in your mix was accidentally measured wrong, or that they didn’t cook long enough. But it is hard to know what went wrong without being there. I am so sorry, I know how frustrating it can be when recipes don’t turn out right ???? My batch still came out “melty” and dough like. Where did I go wrong? ??? ?